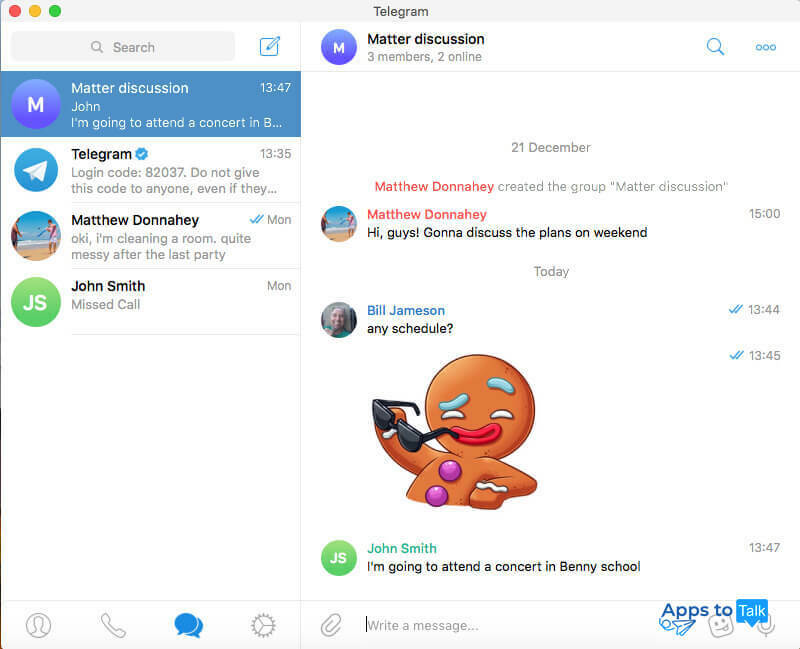 Telegram for macOS is the desktop version of the famous cross-platform messenger for Mac and MacBook devices. The authors of the app have considered disadvantages of all former rival messaging services and have made a really secure, reliable and fast application that combines simplicity, logic and flexibility in the operations it executes. 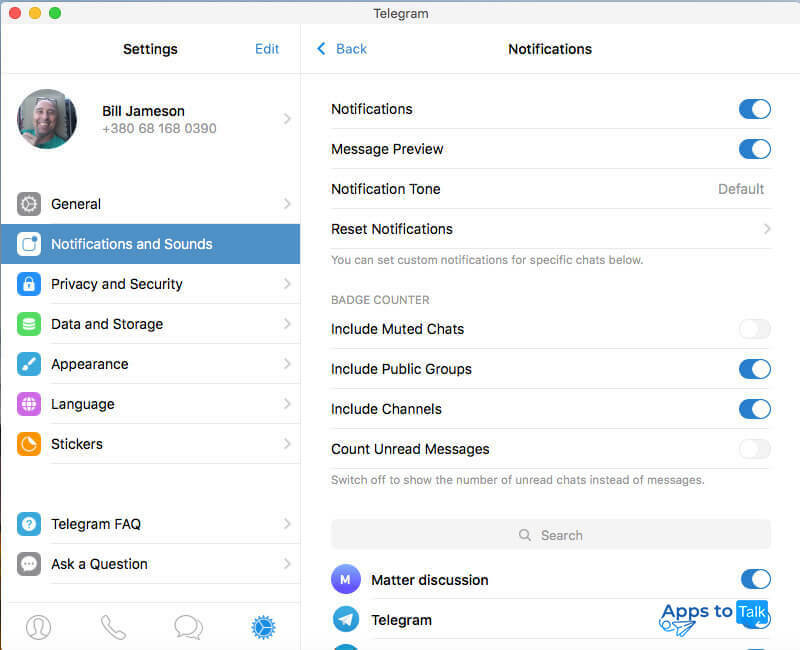 Telegram is shared entirely free, without any microtransactions, in-app purchases or subscription fees. Also, the app doesn’t include any ads or banners that distract you from the chat, and it is definitely worth to be mentioned. Transparent, clear and responsive interface of Telegram tool that transforms your user experience into pure pleasure while learning the menu items and buttons. A range of abilities and options essential for any messaging software package for macOS: text chats with diverse emoticons, stickers and GIF-animations, audio calls, recording of voice messages, a chance to exchange any types of files (documents, media-resources, APK, MSI, EXE, archives, etc.). The highly secured technology of handling text chats with the Telegram subscribers. All your conversations are reliably protected with end-to-end encryption so that your messages won’t be leaked to third-party companies or state authorities. There is also is a secret chat which doesn’t leave traces on corporate servers while you are connecting to them. As a bonus, you can set a built-in timer that serves to automatically self-destruct messages. Syncing of messaging content between all mobile and desktop gadgets that you use to access Telegram. Hereby, you can instantly switch from Mac to iPhone or even to Android or Windows Phone phone/tablet. Great operating speed of Telegram on outdated gadgets with low hardware parameters. Due to perfect optimization of the source code, the app splendidly runs on any Macs and MacBooks, even of previous generations. Unrestricted size and duration of text messages and voice chats respectively. A chance to create and coordinate groups with up to 100000 members. The conference calls with such a solid capacity give massive abilities for business. Arranging and taking part in public channels. Public channels (or, in another words, social boards) can be used for marketing campaign or promotion strategy of some particular product or initiative. If you are an ordinary person, you can create your own public channel and run it as a blog. You should also know that none of the structures or organizations are able to obtain your private info, as well as the data regarding any of the channel subscribers. Also, by default, you cannot post comments on the channel, unless you apply specific bot to add such an option. Telegram is the most suitable program for anybody who appreciates comfort and logic as well as takes into consideration privacy and anonymity in the web. 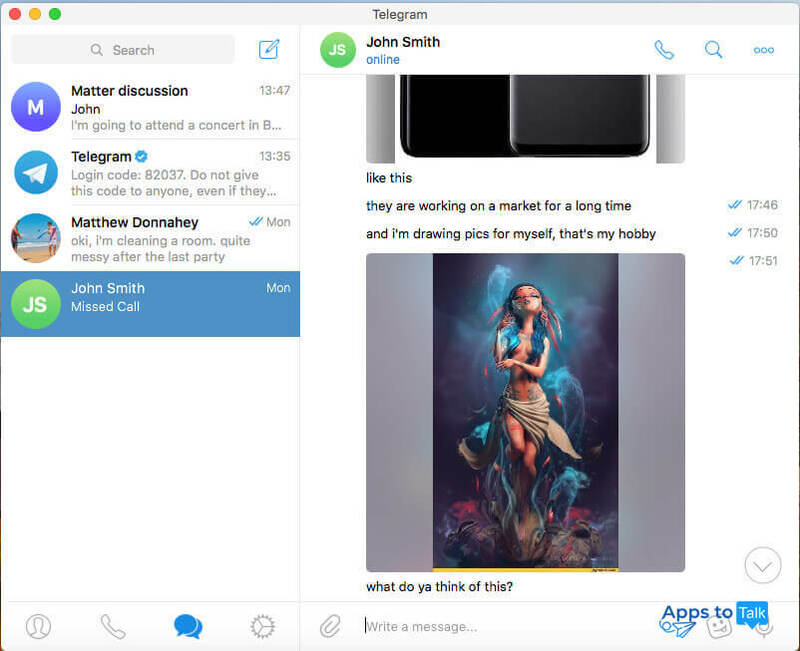 If you want to get a personal opinion about general app usage before downloading Telegram for Mac, install PC or Linux version first, and soon all the hidden potential of the package will be revealed. Telegram allows you to realize such an idea without efforts.